Some of the questions I get asked most frequently about the process of writing and creating fantasy fiction. If you have a question that doesn’t appear here please leave a comment or send me an email and I’ll be sure to reply. I live in London but I am originally from the north of England having lived in Northumberland and North Yorkshire as a child. The landscape and scenery from these beautiful counties has definitely inspired my writing, places such as the beguiling island of Lindisfarne and the rugged Yorkshire Dales. As a visitor to the Lake District with its stunning rolling hills and sparkling lakes I have imagined my characters in this setting and have used it as a template for Tallitha and Tyaas’s journey across the wilds of Breedoor. I have two daughters and my husband is a composer. We have a cat called Sassy and I have a study overlooking the garden where I write most days. The Gothic illustrations from the Morrow Secrets cover the walls in my study along with photographs of castles, mostly modern art and stills from my favourite Gothic movies. I moved from the North East of England to the heart of North Yorkshire when I was small and went to a wonderful school. My parents were keen for me to go to university and they were very encouraging academically. As an only child I became immersed in my books, loved playing make-believe with my friends and having adventurous rambles across the countryside. When I was little my father told me made up fairy stories about a Princess that I named called Varnaseen – so even when I was small I made up peculiar names for my fairytale characters. When I was older I loved listening to my mother’s conversations with my aunts and grandmother, ear-wigging all the family gossip and their secrets.. all families have them. Looking back it was chance, a perfect moment of inspiration when a number of ideas that had been mulling around in my brain came together and I just had to start writing my story. It was a book illustration by Edward Ardizzone, an amazing artist from the 1940’s and 50’s that really inspired me. I began to research children’s book illustrators and quite soon I was captivated and it triggered memories of being curled up with my storybooks. I have always been a bookworm. I occasionally mused that I might write a book one day, but it was only a fleeting thought. It was only when I began writing The Morrow Secrets that I found my niche and became absolutely gripped. The fantasy genre had found me – or Gothic fantasy or Young Adult fiction as it is more commonly known. Rediscovering those amazing illustrators I found that I still loved make-believe worlds and through my writing I created a number of characters to live in them. Having cut my teeth on Gothic fantasy at some point I will move on to horror or perhaps adult fantasy. As a child I loved becoming lost in the fantasy worlds of the Narnia Chronicles, The Hobbit and The Borrowers by Mary Norton. That was my goal as a writer. I wanted to recreate that excitement and thrill – the absolute joy of not being able to put a book down, so that the reader was desperate to turn to the next page to find out what was going to happen. Why did writing in the genre of Gothic Literature appeal to you? Well I didn’t deliberately decide that I was going to write a Gothic novel however I have always been drawn to eccentric rambling houses with numerous staircases and dark corridors. What goes on in there? What’s the history? Who lived there and what did they get up to? I have had many dreams about exploring strange gloomy mansions and getting lost, finding secrets rooms and turrets. Once I had decided on the main character, Tallitha and where I’d decided to set the story, the Gothic infrastructure fell into place. I’ve always loved spooky books like Dracula and scary movies. 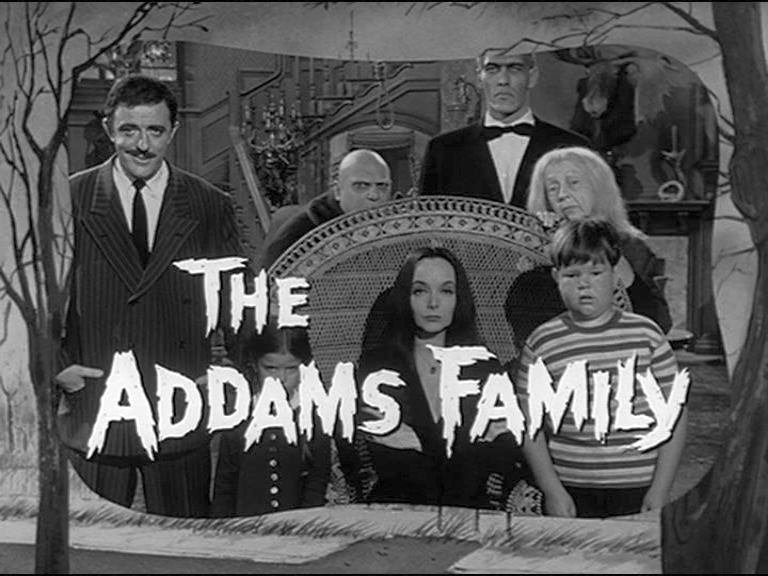 I used to love The Addams Family, The Munsters and Bewitched when I was a child. When I was a teenager my friends and I used to go to our local cinema to see Hammer House of Horror movies every Sunday night, Dracula Prince of Darkness and The Devil Rides Out! Brilliant! I love Alfred Hitchcock movies, anything creepy and paranormal such as The Woman in Black, Paranormal Activity and The Shining. I have a penchant for the Harry Potter movies, True Blood and of course the amazing Game of Thrones by my hero G.R.R. Martin. 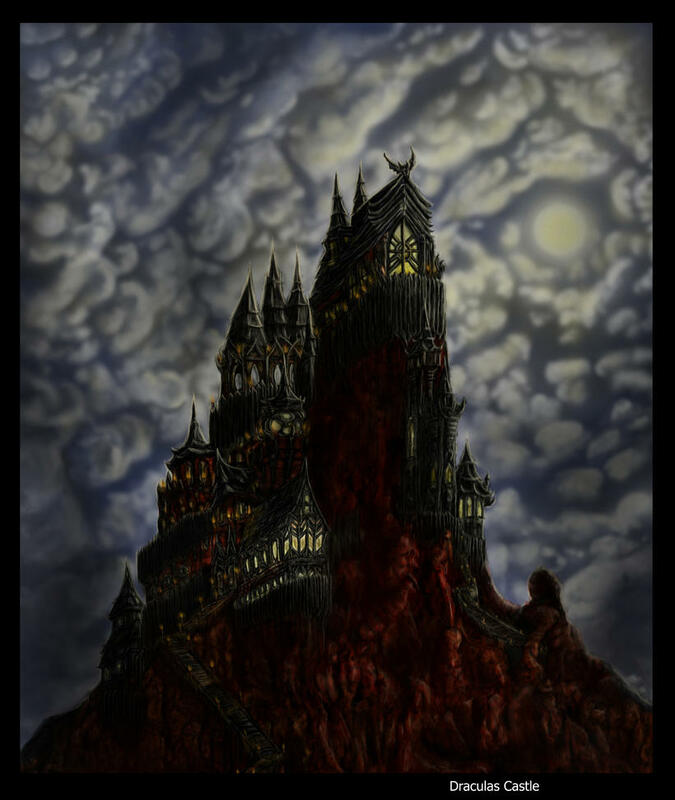 I also admire Gothic architecture and creepy castles where you are never quite sure where the staircases might lead to. Which themes and conventions of Gothic Literature did you want to adhere to and which ones did you want to avoid? I didn’t deliberately start out to write a gothic novel. I have always loved big rambling houses, often having dreams about them and once I had decided on my setting, the huge house called Winderling Spires the Gothicness of it all just fell into place. What made you choose children’s literature? I have always wanted to write a novel but couldn’t find my genre until I began writing The Morrow Secrets – I adore getting lost in the world I have created with all the characters and the plot lines. That’s a difficult question as there are so many books I love for very different reasons. Can I have three books? Then I would choose Dracula for its creepy atmosphere and the wonderful way Bram Stoker describes the terrifying Count Dracula and his sinister castle. I first read it in my late teens, hiding under the blankets at university. It was so scary, one night I slept with the light on! Great Expectations by Charles Dickens – what a story and what a storyteller! A master of characterization and a genius at naming his characters for example Uriah Heep in David Copperfield, immediately the reader knows that Uriah is going to be underhanded and sneaky just from his name. Finally Wuthering Heights by Emily Bronte, which I first read at 15. I was transported into a dark, world with menacing characters, a love story and one without a happy ending. Also I am from North Yorkshire so I identified with the descriptions of landscape and the desolate moors. How many hours have you got? I had the kernel of an idea and I began writing from there but the whole story wasn’t mapped out until much later as I had to revise the story many times as characters evolved or new plot lines emerged. I tend to run with an idea and have lots of interwoven plotlines. For me, once I was clear on the setting and on the main characters the story flowed from there. I have researched about how writers’ write and their numerous writing tips. I found that the more I wrote that the main characters began to occupy my head much of the time. What would Tallitha do in this situation? For me, when I got to this place as a writer the characters began to take over and the dialogue flowed. Why do you think it’s important for young people to get into reading? Reading develops their inner world, their imagination and it helps children see the world from different perspectives. Keen readers develop into clever articulate children. It also helps children empathise with the characters and their plight. I’ve deliberately used long words in my books because I wanted to challenge the young reader and I also wanted to make the book appealing to adults as well. So the book is written in a way that will stretch children’s comprehension in relation to the use of vocabulary. To be honest I don’t really have a routine although I write most days. I like writing late at night and sometimes into the wee small hours and I guess for my dark tales this works. Tell me about The Morrow Secrets? It’s a fantasy adventure about a headstrong girl called Tallitha who is determined to unearth the dark secrets of her sinister Morrow family. From the moment you step into Tallitha’s mysterious world and the weird old house of Winderling Spires the story takes you on a rollercoaster, an epic adventure across dangerous lands, full of eccentric characters with scary twists and turns. It’s a story of intrigue, betrayal and magic. The third book in the trilogy will be published in 2015. You write YA Fantasy: what got you into this genre, and why do you love writing it? As soon as I began writing my fantasy adventure story everything just fell into place. I find the experience of creating the make-believe worlds so fascinating and whenever I write it is like embarking on a fantastic journey, as you never know where you will end up. Its wonderful to be able to make up stories and have people read them and in many ways it’s like being a child again capturing the wonder and excitement of fairy stories and magic. That’s the best bit. I love fantasy stories and movie that deal with magic and make believe. The Hobbit and Lord of the Rings are all time favourites and currently I am into Game of Thrones. Of course I love the Harry Potter movies and The Hunger Games. More in the Gothic genre I thoroughly enjoyed The Turn of the Screw by Henry James and the Hammer House of Horror movies. What inspired your Trilogy, “The Morrow Secrets”? It was a combination of ideas – I have always been fascinated with dark spooky houses, with family history and the influence that past generations have on the present and also that families sometimes have secrets they keep from their children. So it was all these things that came together. I began imagining what it would be like to be a girl, caught in the web of her strange family with a mysterious past; a curious girl who couldn’t leave the past alone, who was headstrong and determined to embark on a dangerous quest and that was the kernel that started the book. I also added in the supernatural, a bit of magic, peculiar creatures and an epic journey across dangerous lands. 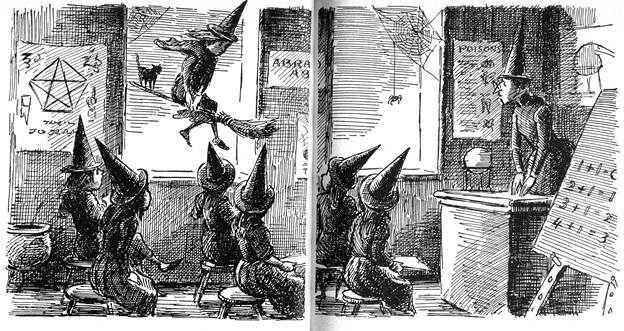 I can trace the idea for The Morrow Secrets to when I saw a children’s book illustration and it reminded me of how I loved reading about make-believe worlds as a child. I had this intense desire to recreate the wonderful excitement of reading a magical fantasy adventure story. I also wanted a strong female character as the lead and so Tallitha came into being. I have always loved horror films and scary books, big rambling houses with secrets to unearth. I didn’t intend to write Gothic fantasy, the book just wrote itself. Once I had decided on the setting and some of the characters the story just tumbled out, it was a very odd experience looking back. I watched a Stephen King “You Tube” interview recently and he said virtually the same. That is what is odd about it – do writers all have this inexplicable experience where they leave their present world in their imagination and enter another one? The only way I can describe it is that there is a real joy in engaging in this creative process – I sit down at my desk, read over the last chapter and bingo more of the story pours out… the characters take over – it is a bit like magic. As a writer I rarely plot story lines, I let them evolve. As a series author, do you find it hard to keep the story fresh? What tips can you give aspiring authors about writing a series? When I started writing the first book I only vaguely thought it would be a trilogy, but I didn’t focus on that at all, it would have been too daunting a task to envisage writing nearly 300,000 words! As a series author, or indeed any author you have to be gripped by your story, if you’re not, believe me the process of writing a book is just too hard. So I love my story and I have been compelled to write it, it is almost like an addiction when you’re so deeply into it you can’t wait to start writing again the next day. I can imagine my characters in any situation and I know their personality and how they will react to different events. One of my writing tips is to get to know your characters and what they will do… When you begin thinking about them before going to sleep and when you wake up in the morning … you’re there! You have to write the book you want to read. Always carry a notebook and jot ideas down when you have them or when you see something interesting. I love words and language and jot down the words that appeal to me – somehow I will weave them into my writing. All writers are magpies. Another tip would be to stop writing each day when you know where the plot is heading – have a few ideas jotted down for the next writing session. You may not use them but they will be a prompt to get going again. I haven’t suffered from “writer’s block”. I have this mantra… just get the story down, no matter how rough and then you can go back and refine it later. No one ever wrote a great first draft so never give up. The second book in the trilogy, The Shadow of the Swarm, is out now can you tell us a little about that? I loved writing book 2 as much as book 1 however the adventure is now set in the strange land of Breedoor where Tallitha and Tyaas are trying to unearth the key to the Morrow pact. Second books in trilogies are more complex to write than the first – there are many plot lines to develop and characters to develop. I have some particularly nasty characters in book 2 – I like writing about villains. Book 2 has a gaggle of extraordinary witches, a dalliance with the paranormal and some freaky ghosts – but that’s all I’m saying! What’s the best thing about writing and what’s the most difficult? The best thing is when you solve a puzzling plot line that has been plaguing you. My solution is to try and leave the problem alone for a week or so and then rewrite the scene again and the solution often presents itself, not all at once but over a number of rewrites. The most difficult is getting published. These days it is extremely hard for new authors to find a publisher. What do you think of the e-book phenomenon? I don’t think e-books will ever replace the pleasure of holding a book in your hand. They are an additional resource for readers not a replacement. I have a kindle and I download e-books but I have hundreds of books at home and will always prefer to browse a bookshop than buy an e-book book from Amazon. However many authors self-publish now and that gives them the opportunity of getting their book out there when publishers won’t take a chance on them. So I am all for e-books and real books. Can you give us an insight into your main character, Tallitha. What is about her that is so special? She is determined, relentless, and strong willed – she is the driving force behind the whole adventure. But she is also flawed, she doesn’t realise what she has in her life until it’s gone… she takes her home comforts for granted and some of the people close to her. But it is her strength and courage that win out. “Where there’s a will, there’s a way” would be Tallitha’s motto. You have created a lot of strong female characters in The Morrow Secrets. Who are the strong women (famous or otherwise) that you admire? The suffragettes who fought tirelessly and bravely to get women the vote in the face of huge opposition. Campaigners who fight for justice like the amazing Doreen Lawrence. Women who do things outside of the norm and challenge stereotypes. Women who work hard everyday managing childcare and work – that is a huge juggling act. Are there any characters in the novel that you feel a particular affinity with? Tallitha of course but also many of the wicked characters, like Snowdroppe, Tallitha’s mother, she is so evil. Ruker, the Skink is fearless and brave. I love her! I particularly enjoy the shroves, the weird servants who live in Winderling Spires. They eavesdrop on the family and are part of the dark secret – it was great fun writing about them. They really just came to me. I imagined their characteristics – like Marlin, the wicked shrove or Snowdroppe, although her name is spelt slightly differently from the flower. I like peculiar names so there are characters called Asenathe, Ruker and Neeps – they all arrived in my head. 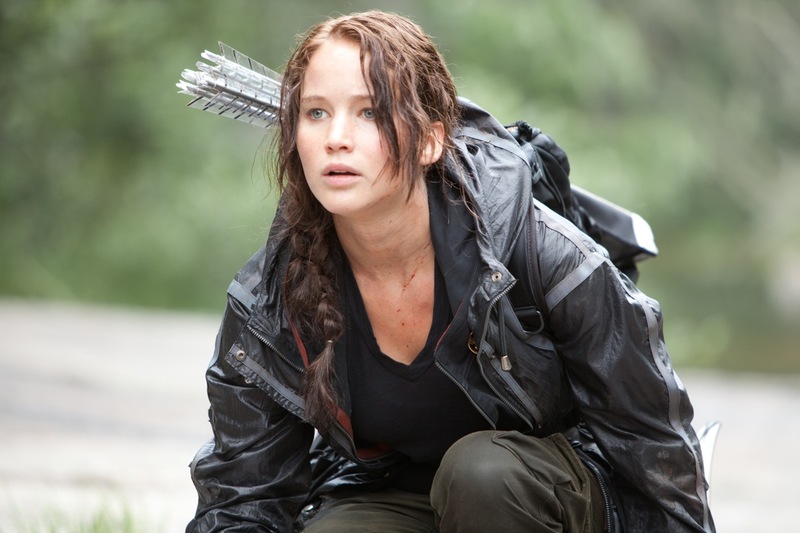 Which actors would play the lead role in your book? Oh that’s a good game! How about Robert Paterson for Quillam?! Tallitha acquires paranormal powers in the book but if you could have a special power what would it be and why? Flying or mind reading. Wouldn’t be great if you were in a tricky situation to decide to fly away or read the mind of a person who was annoying you in some way? You work with an illustrator, tell me about that? Are your friends and family supportive of your writing career? Another great question! My husband is a creative person and is a composer and early on he gave me some good advice…”sometimes you have to kill of your favourite children”. That sounds terrible but what he meant was that you have to be ruthless with yourself and edit large chunks (characters) out of your book. He also said never read reviews! My children have been very supportive and are my biggest fans! They are the first to have read my books along with my husband and have given me some great feedback including what I should change. On the down side there are people who you imagine will be supportive and who aren’t. How do you manage your time? Is it hard balancing your writing life with your working life? I am self-employed so I have the luxury of deciding when to write and when to work on my other career. Are you self-published or with an agent? Initially I self published however I now have a publisher called Sweet Cherry Publishing who specialise in YA and children’s books. I can’t tell you how amazing it is to see your book in print. Because they are a small publisher they are really easy to work with and have allowed me a great deal of input into the style of the book and the covers. I have been to many book events with them. Recently I went to the London Book Fair which was amazing and I have done a number of book signings and school events. I have also designed and led Creative Writing Workshops with young people that were fantastic fun. Seeing these participants fired up about writing their own stories was very inspirational. You have to love writing otherwise it’s too difficult and I believe as a writer you have to love reading. Read lots of different authors from many genres and notice how they use dialogue and employ their craft. Watch movies and notice how directors and scriptwriters build suspense, dialogue and tension. I love the visual arts and can be motivated through art, cinema, photographs as well as the written word. You have to treat professional writing as a job. I used the word “professional” there on purpose. Get up every day, sit down and start to write and believe me if you have writing in your blood you will write. Don’t wait for the mythical “inspiration” to occur, you have to create it. Sometimes you will write rubbish and other times the words will just flow out of you which is an amazing feeling when you get your strange imaginings down on paper just the way you want it. Radio interview with Viv Oyolu about writing The Morrow Secrets. The interview includes my favourite writing tips on the creative writing process and how to get published. The Morrow Secrets is available on Amazon in print and e-books, just click on the book title below.